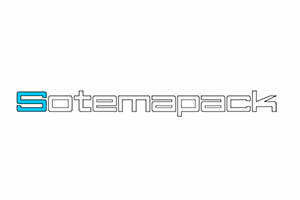 SOTEMAPACK SRL started its operations in 1974 by serving both the Italian and export markets. The main activity of the company was to design and manufacture packaging machines by using P.E. sleeve wrapping technology. As time passed new technologies were added to the basic ones, like the shrink-wrapping starting from a center-folded film and the stretch wrapping. SOTEMAPACK are able to offer a very large production range of machines, covering very different fields: from the multipack of food products (cans, tins, jars, bottles and boxes with standard infeed systems), to wood industry packaging, from E.P.S. packs to sophisticated solutions for very different industrial products. Today the production range has improved with the introduction of tray/carton “wrap around” machines and high-speed machines without sealing bar. The company is able to provide continuous technical growth of products and to assure the study of individual requests of the customers.